EMS1.com and Limmer Creative asked a large sampling of currently certified paramedics what they wished they knew before taking the NREMT exam—and this free app is the result! 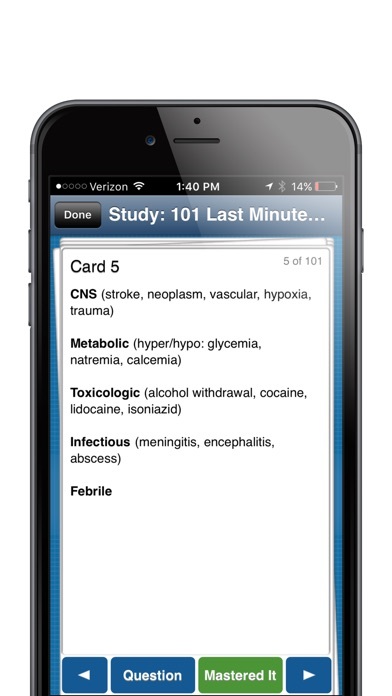 Containing 101 study cards with fast facts and critical thinking questions, this app will help with last-minute exam study—or to keep an existing paramedic sharp. 101 Last Minute Study Tips contains information in the following high-yield areas as defined by people who have taken the exam: Pharmacology Pediatrics Obstetrics and gynecology Assessment Cardiology and resuscitation Medical emergencies Trauma Operations And More! This isn’t a complete exam preparation product. It is a free, focused and fast tool for last minute exam review. Paramedic students are also encouraged to also download the free 101 Last Minute NREMT Study Tips for EMTs. Additional exam preparation and classroom review apps are available through Limmer Creative. 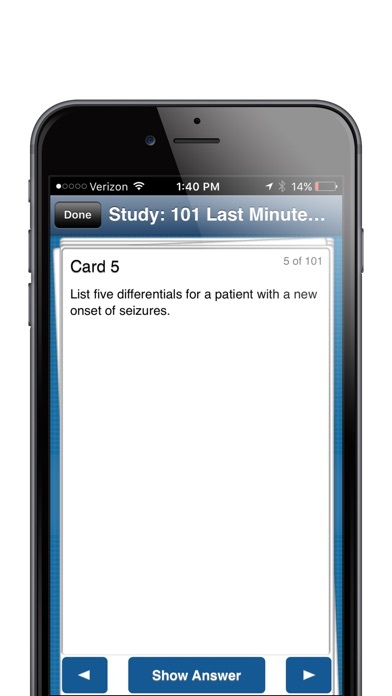 NOTE: This free app is a service of EMS1.com and Limmer Creative. It is not affiliated in any way with the NREMT. No actual NREMT exam content was solicited or received by the developers. Love the idea of flashcards to study... Makes a huge difference In reviewing for the info on the NR-medic test. Check it out!!! Help me pass the FISDAP Blue Exam and National Registry on the first try. Recommended for those who just need a review of already learned material.